In this photo, Turkey's President Recep Tayyip Erdogan speaks in Ankara, Turkey, Saturday, July 7, 2018. 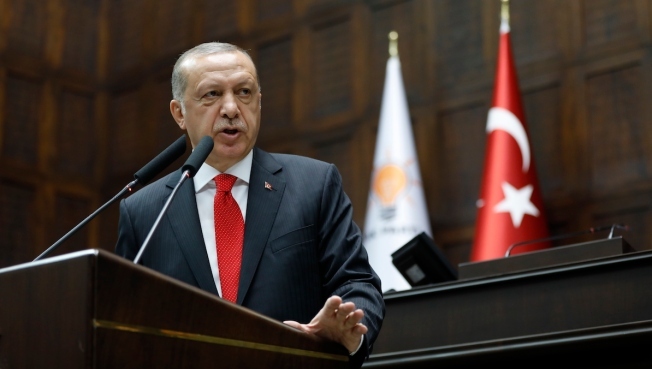 Turkey's government on Sunday issued an emergency decree dismissing thousands of public servants for alleged links to terror groups. The decree, published in the Official Gazette, sacked 18,632 civil servants, including nearly 9,000 police officers, some 6,000 members of the military and hundreds of teachers and academics. Their passports will be canceled. Turkey has been under a state of emergency for nearly two years, declared after a failed coup attempt in July 2016. The government blames a U.S.-based cleric for orchestrating the coup and has sacked or arrested people suspected of links to him. The cleric, Fethullah Gulen, denies the allegations. But the purge has broadened to include other "terror groups," with more than 130,000 people dismissed.